Hobsbawm was dubbed “Neil Kinnock’s guru” in the early 1990s, after criticising the Labour party for failing to keep step with social changes, and was regarded as influential in the birth of New Labour, though he later expressed disappointment with the government of Tony Blair. 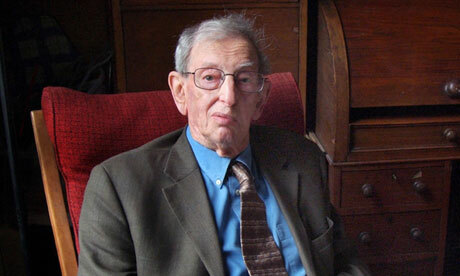 Ed Miliband, the Labour leader, described Hobsbawm as “an extraordinary historian, a man passionate about his politics and a great friend of my family”. He said: “His historical works brought hundreds of years of British history to hundreds of thousands of people. He brought history out of the ivory tower and into people’s lives. “But he was not simply an academic, he cared deeply about the political direction of the country. Hobsbawm’s lifelong commitment to Marxist principles made him a controversial figure, however, in particular his membership of the British Communist party that continued even after the Soviet invasion of Hungary in 1956. Hobsbawm was born into a Jewish family in Alexandria, Egypt, in 1917, and grew up in Vienna and Berlin, moving to London with his family in 1933, the year that Hitler came to power in Germany. He studied at Marylebone grammar school and King’s College, Cambridge, and became a lecturer at Birkbeck University in 1947, the beginning of a lifelong association that culminated in his becoming the university’s president. He became a fellow of the British Academy in 1978 and was awarded the companion of honour in 1998. He is survived by his wife, Marlene, his daughter, Julia, and sons Andy and Joss, and by seven grandchildren and one great-grandchild.